They’re the soap star couple who recently split for a week before getting back together. But now former Home And Away star Dan Ewing and his girlfriend Kat Risteska have taken time out from their busy schedules to celebrate another couple. 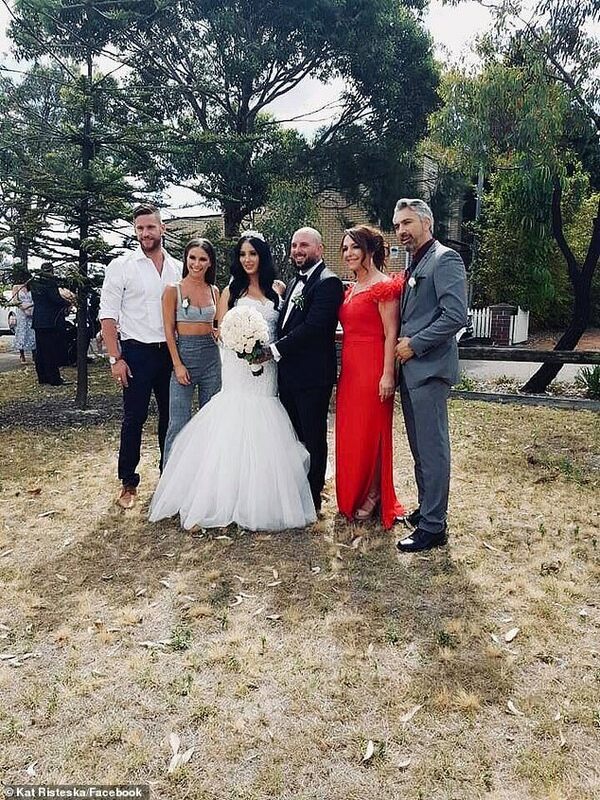 On November 24, the pair attended the Sydney wedding of Kat’s brother, David, to his longterm girlfriend, Cat Talevska. 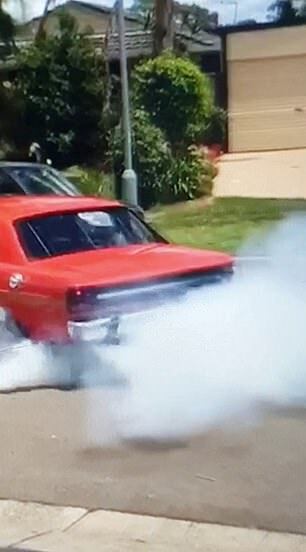 The couple’s eyebrow-raising nuptials were complete with drag racing and burnouts. 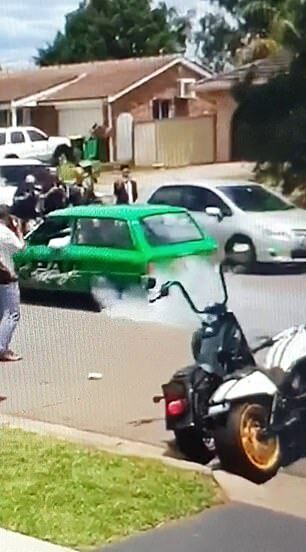 On Instagram, Kat shared footage of the wedding entourage drag racing in front of her house, with several brightly coloured cars performing burnouts before speeding off. Daily Mail Australia is not suggesting Kat or Dan did anything illegal. Kat stunned in a silver sparkly two-piece, which featured wide leg trousers and a matching bralette, from House of CB. Her brown tresses were styled perfectly straight and she finished her ensemble with silver stud earrings. Dan cut a cool figure in a black suit, which he wore with a white button up shirt. Afterwards, Kat posted a moving tribute to her brother on Facebook. 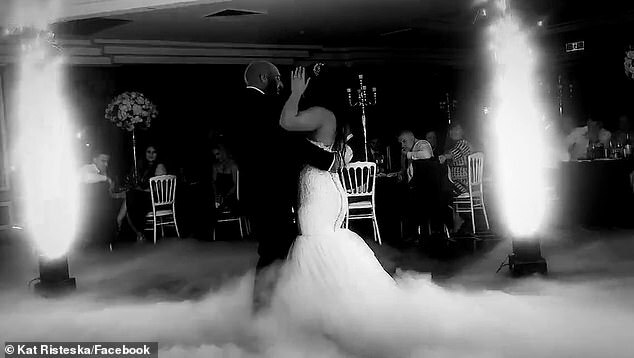 ‘To watch my big brother marry the woman of his dreams was a blessing and wish come true,’ she wrote. Last week, Daily Mail Australia revealed that the pair had briefly split up at the end of November. 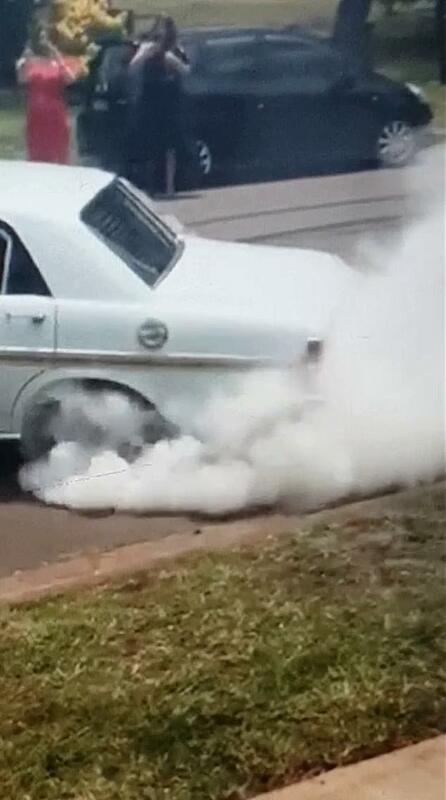 Just a few hours after the news broke, the 33 year-old actor put the couple’s troubles behind them as he paid a touching tribute to Kat on Instagram. 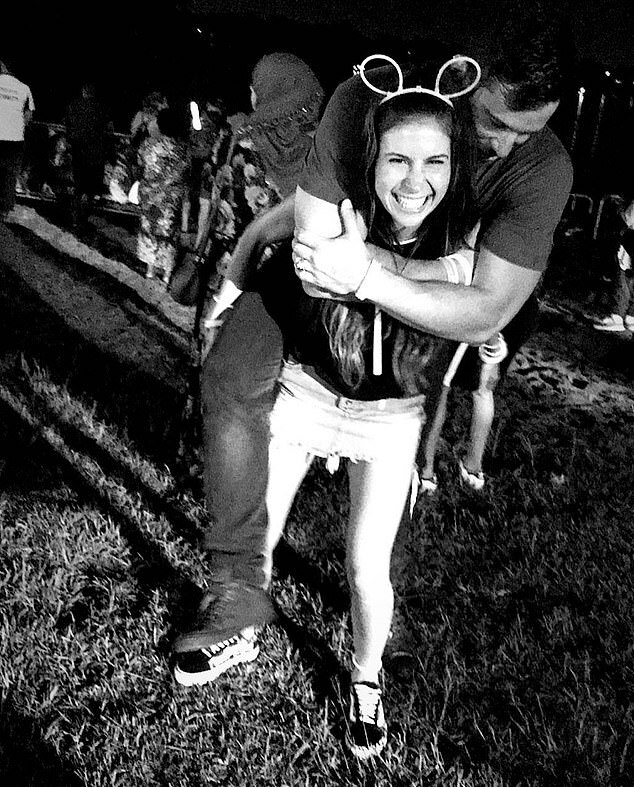 ‘I got a hot 5ft 2in chica to carry me into 2019,’ he captioned a black and white photo of his girlfriend giving him a piggyback ride. Kat immediately responded to the post with a love heart emoji.